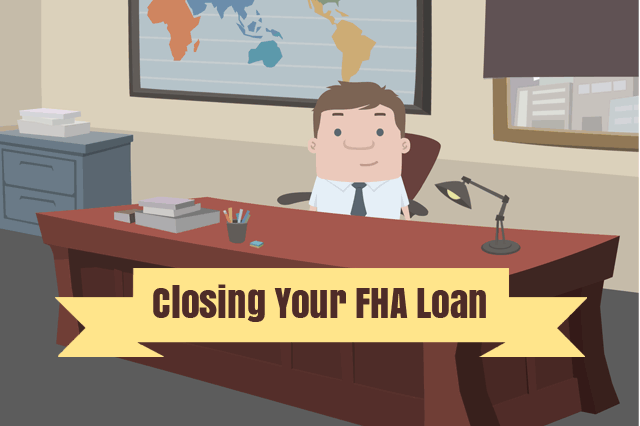 There are many things to remember when it is time to close your FHA home loan. Closing day has its’ own unique set of issues but if you go into the process prepared for some common issues, your loan closing and the early days of home ownership will go more smoothly and comfortably. August 27, 2018 - There are many things to remember when it is time to close your FHA home loan. Closing day has its’ own unique set of issues but if you go into the process prepared for some common issues, your loan closing and the early days of home ownership will go more smoothly and comfortably. FHA Loan Closing Day: Do You Get the Keys or Not? Your FHA home loan closing date may be the day your loan is actually finalized and you get the keys and can move in OR you may be in a situation where the closing date is not the official and final part of the process where the seller gets paid. This depends on whether or not you living in a “wet funding” state or a “dry funding” state. In general, dry funding is where the closing date happens, all paperwork is signed, but certain paperwork and/or the purchase money may take some time to transfer to the seller. You may or may not get the keys on closing day in a dry funding situation, depending on what is customary in that housing market. Compare that to dry funding where the money must generally go to the seller on closing day or no later than a couple of days (depending on what is customary for the lender and housing market) and the transaction is basically considered finished. Ask your loan officer about wet and dry funding and which practice applies to your transaction. At least one borrower obligated on the FHA home loan is required to move into the property and use it as the primary residence. This is usually required within 60 days of loan closing, but one thing is very important-do not expect to begin moving into your new home on closing day. This is a good idea for several reasons but the most important being that the unexpected sometimes happens on closing day and if your closing is delayed you don’t want to have moving trucks waiting for you same-day. It’s better to anticipate some form of a delay in closing even if it’s just a few hours on closing day rather than several days. Don’t set yourself up for a problem with a move-in because you hope closing day goes without a hitch; issue-free home loan closing is not always possible. You should receive paperwork before your loan closing date that explains how much cash is needed to close. Your lender will tell you how to pay these costs and can explain any expenses you do not understand. Don’t sign paperwork you do not understand or pay expenses you aren’t sure about until you have had the lender explain them.